You can watch the video from the ceremony here. This week the Centers Honorary Professor Bjarne Bruun Jensen (picture below) was elected new International Union of Health Promotion and Education (IUHPE) Regional Vice President of Europe. This shows how right the Center was to nominate and appoint him Honorary Professor. Professor Jensen is Head of Health Promotion Research at Steno Diabetes Center in Denmark and was appointed Honorary Professor at ISH and CHPR 2013. Since CHPR is host for the next European Conference of IUHPE 2018 this is extra important. The Center with its leader was one of the initiative takers when Professor Sir Michael Marmot was nominated to be NTNU’s next Dr. Honoris Causa (DrHC). The nomination was a collaboration between the Director of HUNT Professor Steinar Krokstad, Professor Terje Andreas Eikemo from CHAIN, and Professor Steinar Westin from Department of Public Health and General Practice. Read the presentation of Professor Sir Michael Marmot to the Dr. Promotion audience and why he became the DrHC at NTNU here. 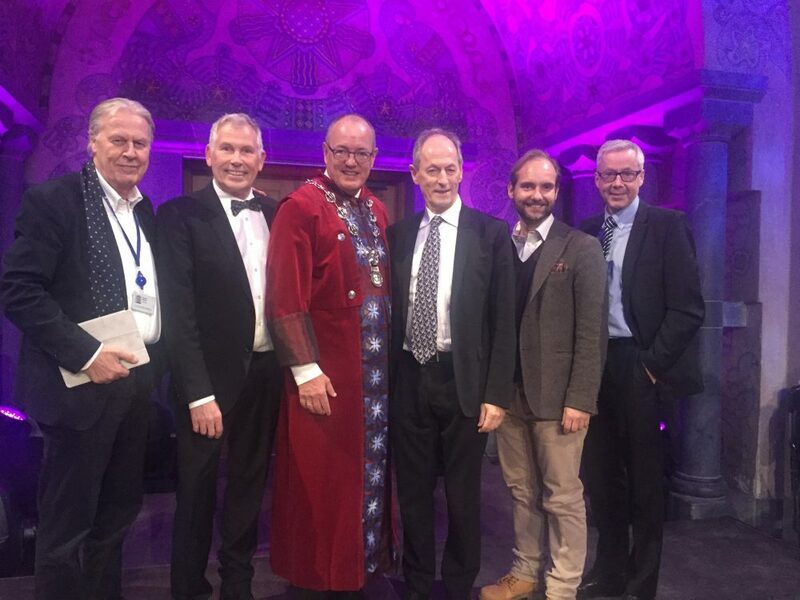 Below is a picture of Sir Michael Marmot, Rector Gunnar Bovim and the four who suggested Marmot as the new DrHc. 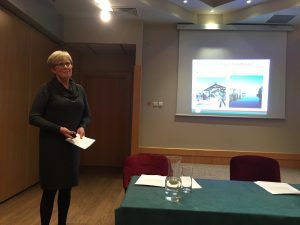 The Center has together with the Municipality of Trondheim been part of a project implementation of a Centre of Seniors Activity INFOSENIOR in KROSNO, Poland. The project was based on collaboration between Krosno city and Municipality of Trondheim with the Center as experts of implementation. The project has been a great success with a functioning Centre of Seniors Activity now in place and was ended by a conference in Krosno November 14-16. In the picture below Anne Betty Sødal is summing up the experiences seen from the point of view from Trondheim Municipality. NTNU will on November 18. get a new academic member. We are honored by having Professor Sir Michael Marmot as the new DrHonoris Causa. He is a well known capacity of Public Health and epidemiology. We are proud to tell that the Center has been one of the initiative takers in this endavour. To learn more look at the NTNU message page.